Let’s face it. We live in a sophisticated, technologically driven world whether we like it or not. Like most things in life, that happens to be both good and bad news. But with technology comes passwords, usernames, and PIN numbers. 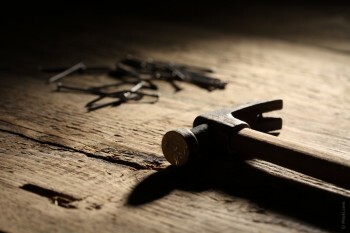 Not only are we instructed to keep these in a “safe” place, we are challenged with the task, on a daily and sometimes hourly basis, of remembering what password goes with what. Read more about Honey, What's Your Password? What is your gut reaction to the title of this post? What do you think about building your own coffin? My gut reaction is why not? Why not plan for death? 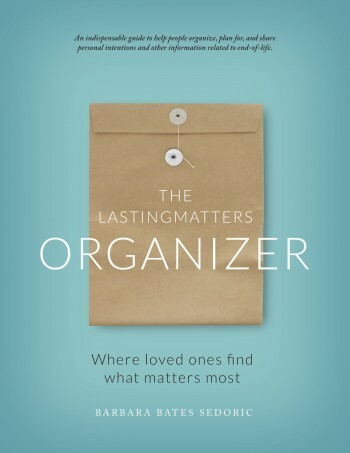 Here's a sneak preview of the cover of the forthcoming book: "The LastingMatters Organizer". Maria Shriver recently posted my story titled "Even Healthy People Should Keep Their Affairs in Order" in her "Inspirational Stories from Architects of Change" section of Maria's website at www.MariaShriver.com. The Conversation Project is a national organization dedicated to helping people talk about their wishes for end-of-life care, and helping our culture speak more easily about death and dying. Carpe Diem is a phrase uttered many times by both my parents for many years. It is also one repeated in our home and is inscribed in my wedding band. Aptly, it is the inscription we chose to engrave on the gravestone that marks our family burial plot in our town's cemetery, boldly marking the sunny spot where both of my in-laws are now buried. Are you a hoarder? Probably not like that TV show that shows people buried in their stuff!